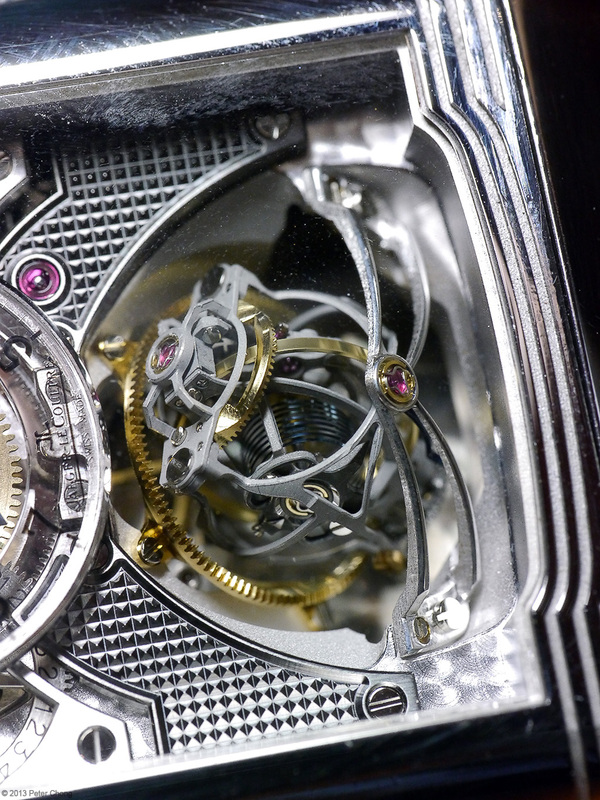 The Jaeger LeCoultre Gyrotourbillon series is now nearing the completion...with the release of the Gyro3 this year. But the piece which still keeps its special place in my mind is the Gyro2. 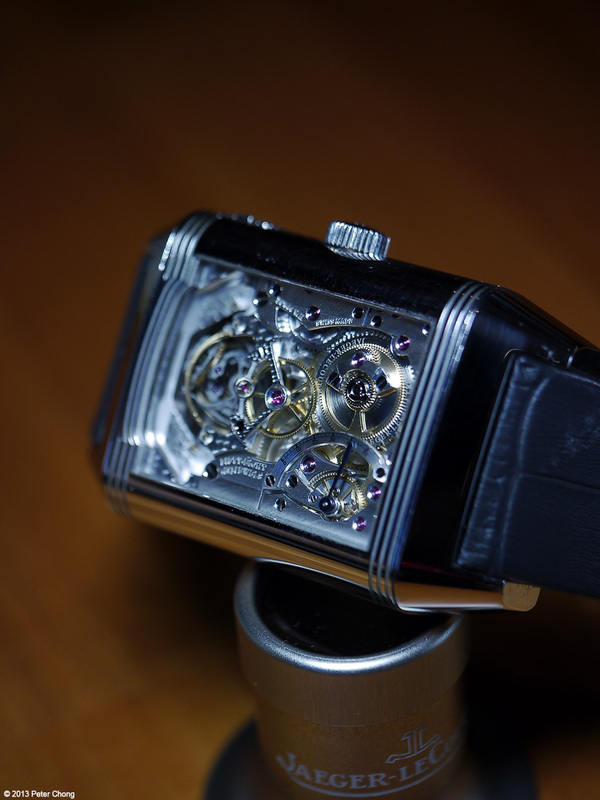 Flip the case over, and one is greeted by this beautiful movement. 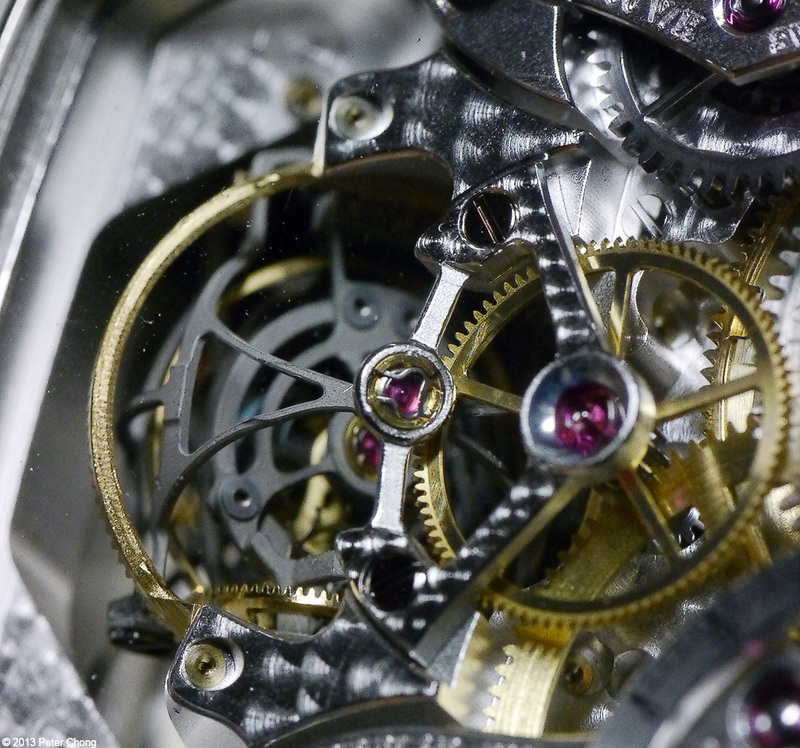 Watching the tourbillon, turning on its axes is simply mesmerising...wonderful. 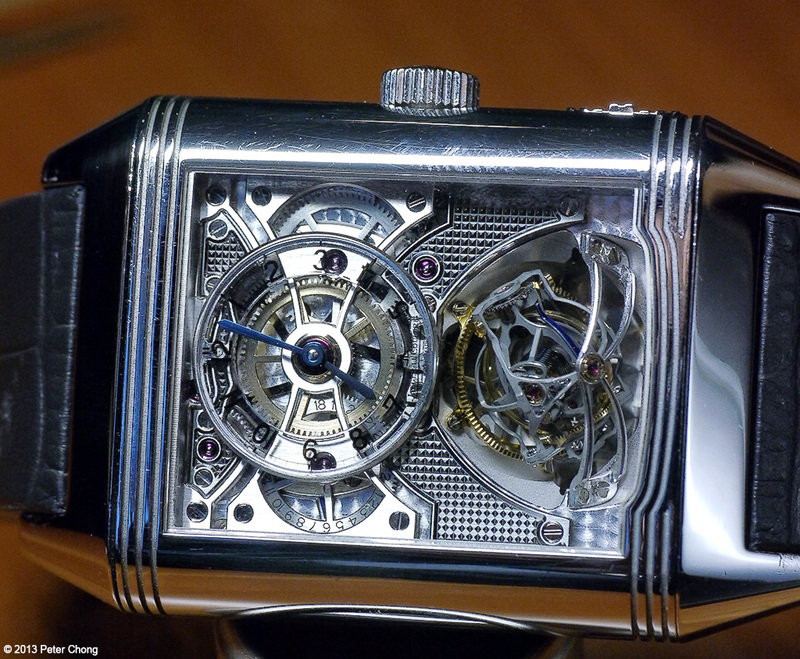 Another view of the tourbillon...magnificent. I leave you with an image of a beautiful hand, holding the beautiful watch. Note this watch is a prototype, with the attendent scratches, and dust particles. 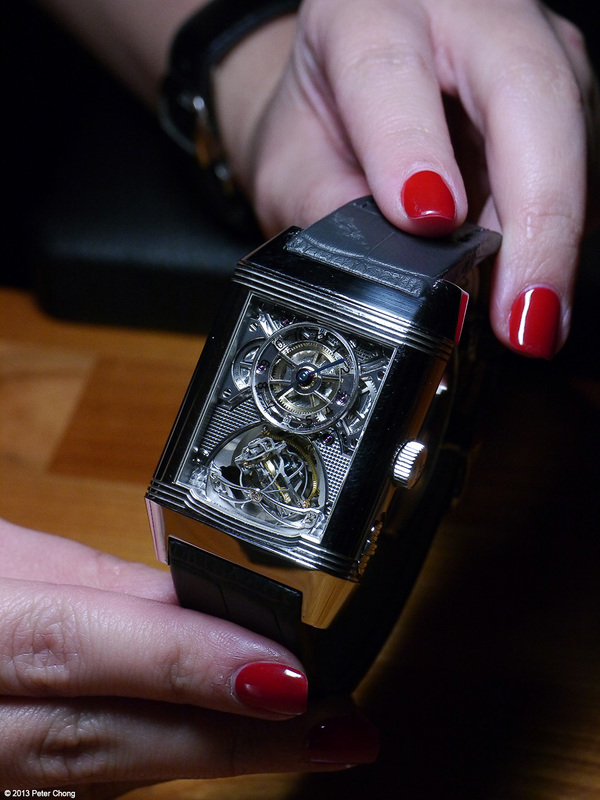 The watch was photographed during the JLC Hybris Mechanical show, and the photographs were made on a watchmaker stand, with existing lighting.